Click here for more info about Atlantis at the Hoanbu website. 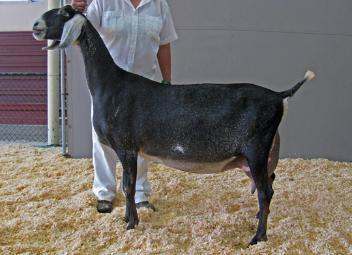 Real Tactition is the 2012 ADGA National Show Premier Sire. 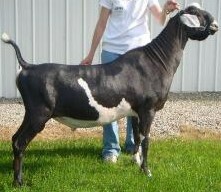 Atlantis is the paternal brother to GCH Wingwood Farm TAC Sasha 6*M, the 2012 ADGA National Champion (Nubian). 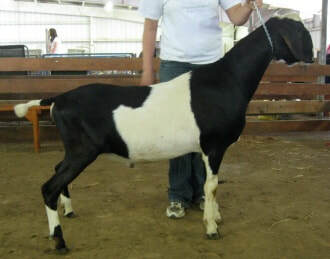 Click here for more info about him at the Wingwood Farm website. SGCH Wingwood Farm Tim Aminance 1*M Photo courtesy Wingwood Farm. Amina was awarded 4th place in the 2012 ADGA National 5-6 Year Old Nubian division. 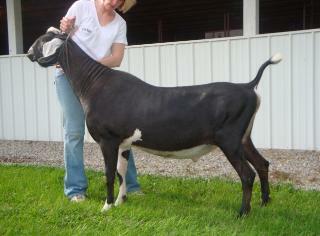 Click here for more info about her at the Wingwood Farm website.